The 18th century banking magnate Baron Rothschild laid the foundation for contrarian investing when he said, “the time to buy is when there’s blood in the streets.” And if there were ever a time to take advantage of this advice, it may be right now. For the last few years we’ve seen prices for gold and silver collapse to such an extent that mining companies around the world are cutting hundreds of millions of dollars and tens of thousands of jobs from their operations. It’s gotten so bad that many are moving into unrelated businesses just to stay afloat. The following must-see video from Future Money Trends highlights why major investors are piling into resources as if their lives depended on it and explains a strategic approach that could pay significant dividends as prices for precious metals inevitably rise in coming months. Home to the junior mining companies, the TSX Venture Exchange is down 85% in nominal terms and 90% down in real terms. When it comes to the mining sector there’s blood in the streets. This is, by all accounts, an environment in the resource sector not seen for over 50 years. But with investors around the world losing confidence in their governments and the broader economy, it’s only a matter of time before the worst bear market in half a century turns to the upside. If you’re paying attention you can see the veritable blood in the streets that Baron Rothschild described. Precious metals may have been left for dead by retail investors, financial advisers, and most mainstream pundits, but that usually means one thing: It’s time to buy. For more video reports, news and market updates we encourage you to visit Future Money Trends. 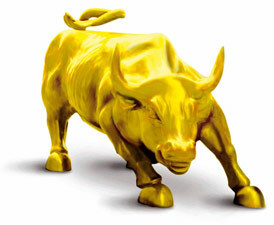 Learn what one well known resource investor is doing right now to take advantage of opportunities in precious metals. READ 1927: An Artificial Synthesis Of Gold?